Premier League clubs Manchester United, Arsenal, Chelsea and Liverpool have all enquired about Bayern Munich star Thomas Muller in an attempt to sign the German next summer. Despite being one of the best players in the world, Thomas Muller’s playing time at the Allianz Arena has been restricted since the arrival of Carlo Ancelotti. Plus, his form has also dwindled, as the 27-year-old scored only 5 goals last season – shocking, compared to the 32 he netted under Pep Guardiola in all competitions the season before. 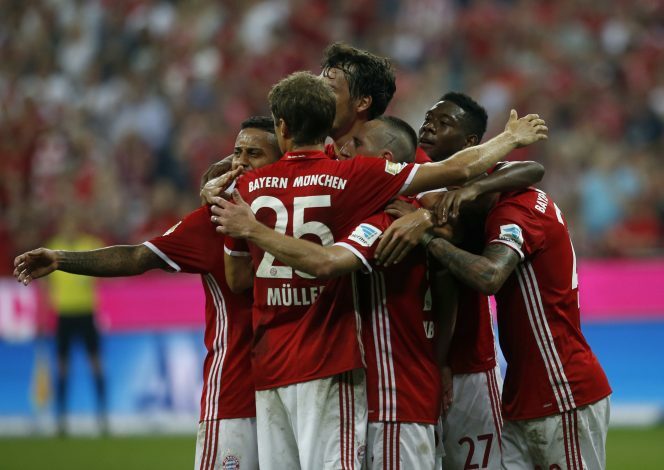 There is no denying that Muller is unhappy after losing his first-team role, and now, speculation has risen over where his future lies. 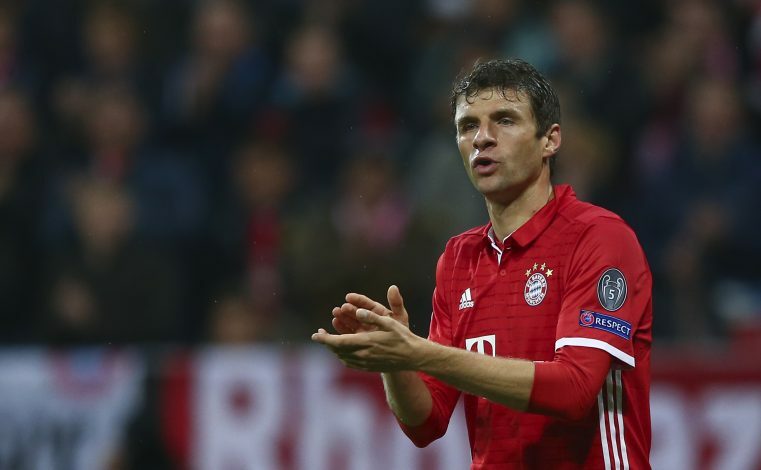 Considering the fact that he has been highly frustrated at the German club, Muller is reportedly being targeted by the host of clubs across Europe. In fact, English giants Manchester United, Chelsea, Liverpool, and Arsenal all are keeping tabs on his current situation in Bavaria, and reports in Tuttosport claim that reigning Italian champions Juventus have also joined the race to sign him. Muller has been a long-term target for Manchester United, and the Red Devils even came up with a bid worth more than £100m to sign him in 2016, but Bayern turned the offer down. Chelsea are also one of the clubs pondering a move for the unsettled German, as the Blues are in the quest of finding a replacement for Diego Costa. Meanwhile, there have also been ongoing rumours that claim Arsenal could sign the 28-year-old during the January transfer window, following their disappointing start to the season. Considering that a clutch of clubs are interested in signing Muller, there is no doubt that the forward will be a highly sought-after player in Europe, and it will be interesting to see which of these clubs – if any at all – seal a deal for him in the upcoming transfer windows.